Employee theft costs companies millions of dollars. Lawsuits filed against organizations because of employee conduct can put them out of business. Drug problems, absenteeism, violence in the workplace – all are common issues that managers must be aware of and must deal with in this 21st-century environment. Organizations of all sizes spend countless valuable resources handling these issues. Legal departments, training programs, and human resource policy reviews are expensive. What if you could solve, or at least reduce the potential for such problems, before they occur? Before making your hiring decisions, it is increasingly advisable to learn more about the background of all your job candidates. This is especially true for positions in secure areas, or where valuable corporate assets are at risk, or where contact with the public is required. When you need to test for integrity, use the Profiles Step One Survey II™ to tell you more about their attitudes regarding drug use, honesty, theft, and other potential problem areas. Hiring the right employees reduces turnover, improves productivity, and creates a higher return on your investment in training and managing those employees. Not all organizations need the stringent hiring requirements that would necessitate background checks or additional assessments. How can you tell if your organization is at risk or if you could be wasting valuable resources? Don't guess. Contact the experts at Business Insight Technologies. 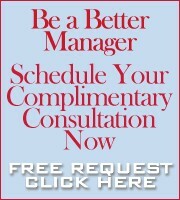 Schedule a complimentary consultation. Be certain you're making the right decisions regarding your employees.